Ever since President Moreno took office in Ecuador, he has been attempting to evict Assange and sell him to the US government. It all started with a meeting with Paul Manafort. Recently, his latest attempt at throwing Assange out of the embassy is due to Wikileaks tweeting a link to the ina papers. Moreno claims that Assange violated the protocol put in place by the Ecuadorian state by doing this. He claims Julian hacked into the information in a radio interview this morning. It is obvious this is just another attempt to villify Assange. How could Assange have rted this site, or done anything when he has been gagged from speaking or posting on the internet since March 28th of 2018? How can he be held responsible for the actions of wikileaks staff while he is silenced? This whole ordeal is ludicrous in my opinion. When did simply reporting the truth or exposing corruption through journalism become a crime? Julian has done nothing that Watergate journalists Woodward and Bernstein would not have done if they were given the same information. In fact, why hasnt the Guardian been prosecuted for the Snowden files in this case? Through President Moreno, the Ecuadorian government has turned it’s back on one of it’s own citizens and one of their own refugees. 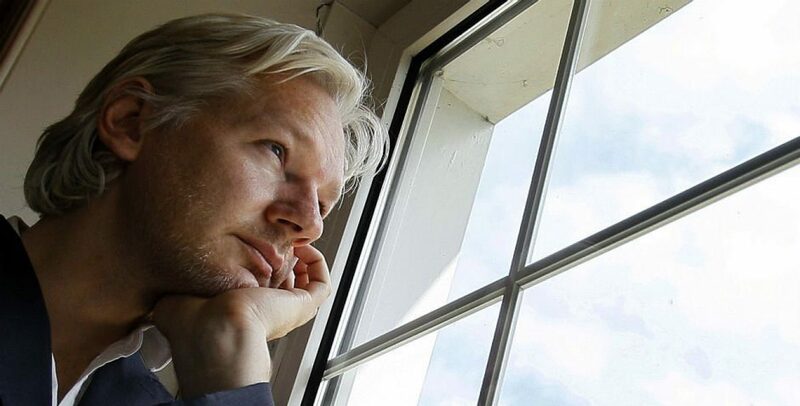 They promised Assange protection from the US and now are attempting to turn him over because of greed. Moreno has proven to be corrupted and a criminal through his dealings with the US, his ofdshore deals and his treatment of Assange and his own VP. Rather than remove Venezuala’s president, there should be a concentration on getting rid of the wanna be dictator Moreno. Moreno’s treatment of his own people make him a villian worth impeachment and prison. Ecuador, isn’t it time to get rid of this Hitler on Wheels?